The resources used in the preparation of this program include hearsay contributions from a number of neighbors; the Anderson family, including my own recollections; my brother, Jeff Anderson, who vouches for the accuracy of the references to Telfair County boundaries; Becky Mitchell; Julian Anderson Williams’ Old Jacksonville website; conversations with several county residents including Elizabeth Jones, Chester Swain and Billie Sue Smith. This narrative begins with a short sojourn into my family. Grandfather Walter Scott Anderson came to Telfair County from Laurens County. He owned and operated a meat market in Milan, Georgia. Grandfather married Mary Elizabeth Cravey. Included in Grandmother’s lineage were the Jones on both sides of the Telfair/Dodge County line, the Peacocks, and the Campbells. The Anderson family moved from Milan to a farm near Walter Giddens Road on the Workmore-Milan road. They moved three other times, all within the Workmore Community. There were seven children in the Anderson family, all raised and married in Telfair County. The children were: J.C. Anderson, Sue Anderson Smith, Dovie Anderson Garrison, Mattie Anderson Williams, Louise Anderson Brewer, Tom Anderson, and Dorothy Anderson Bland. My father was Tom Anderson and my mother was Winnie Lewis from Coffee County, near Broxton. All seven of the Anderson children attended Workmore School. From all information available, Sue Smith was valedictorian of her graduating class. Sue Smith is the mother of Billie Sue Smith. Sue Smith and Dovie Garrison both eventually taught at Workmore during their teaching careers. There is a story about my father, Tom Anderson that may seem odd today. He named himself on his first day of school at Workmore School. This was around 1926. His parents had given him a very long name which he disliked. Prior to beginning first grade, a travelling preacher stayed with the Anderson’s for a few days as was the custom of itinerant ministers. The preacher’s first name was “Tom” and my dad liked the preacher and his name even more. When my father’s first grade teacher began taking names for the class role, my father responded, “My name is Tom Anderson.” From that day forward, he was Tom “no middle name” Anderson and is shown as such on his military service record. A close look at the map of Telfair County reveals that Workmore is in the virtual center of the county between McRae and Jacksonville and between Milan and Lumber City. Workmore has always been an unincorporated area serviced totally by the county government. People living in the areas surrounding the crossroads where Workmore is located have always considered themselves a part of the Workmore Community. One cannot separate the Workmore community from Workmore School. If you attended Workmore School, one considered themselves a part of the Workmore Community. A School reunion is held annually, in late June or early July, and is advertised in the Telfair Enterprise. About all that needs to done is to bring a covered dish, profess some knowledge of Workmore School, and you are a part of the Workmore Community. Many years ago, I asked my Dad about the origin of the name, Workmore. He told me that there had been a large, working farm there and the farm’s name was Workmore. Regrettably, I did not follow up with more questions. Recently, new information became available to me. It was learned that the Workmore Farm was owned by William Henry Reviere (1862-1936) of Rochelle in Wilcox County. It seems that Mr. Reviere owned two other large farms, one in Wheeler County and the other in Wilcox County. Each farm was approximately 900 to 1000 acres. While not being verified, it was said that the name of the farm in Wheeler County was either “Do Less” or “Work Less” as opposed to the Workmore Farm in Telfair County. This may very well have been an attempt at humor. The name of the farm in Wilcox County is lost to history, but it is known that the Wilcox County farm had a large pear orchard. Mr. Chester Swain, who worked with my Uncle J. C. Anderson, would travel there and pick up a truckload of pears. Uncle J. C. and Mr. Chester were involved in truck farming of fruits and vegetables at the time. Mr. Swain remembers a sizable log storage building on the Workmore Farm. He stated that fertilizer would be shipped to McRae by rail car, off-loaded onto mule-driven wagons, and brought to Workmore and stored in the log structure. The mule team drivers would spend the night before returning to McRae the next day. They were known to refresh themselves with spirits and engage in games of chance resulting in loud, raucous behavior during their overnight stay. Mr. Reviere had four children including a boy named Paul and a daughter named Martha; the names of the other two children are not known to me. Martha married James Hoyt Dobson who was originally from the Nashville, Georgia, area and later Hahira in Lowndes County. Mr. Hoyt was a Dobson with a “B” as opposed to Telfair County Dopsons with a “P”. Martha and Hoyt Dobson lived at Workmore, and Hoyt operated the Reviere farm. Martha was a school teacher and one-time principal at the school. Later, they built a motel, known as a Motor Court or Tourist Court in those days. It had a coffee shop. In more recent years, the old Motor Court was sold and the coffee shop became the Workmore Supper Club. Presently, it is the location of a convenience store for hunters and other guests at the Workmore Lodge. It is located across Highway 441 from the site of the old Workmore School. Some years later, the Dobsons sold the motel to a Mr. Fuller and built a souvenir shop nearby. Mrs. Dobson operated the shop. At that time, Highway 441 was a major north-south route to Florida prior to the Interstate Highway System. 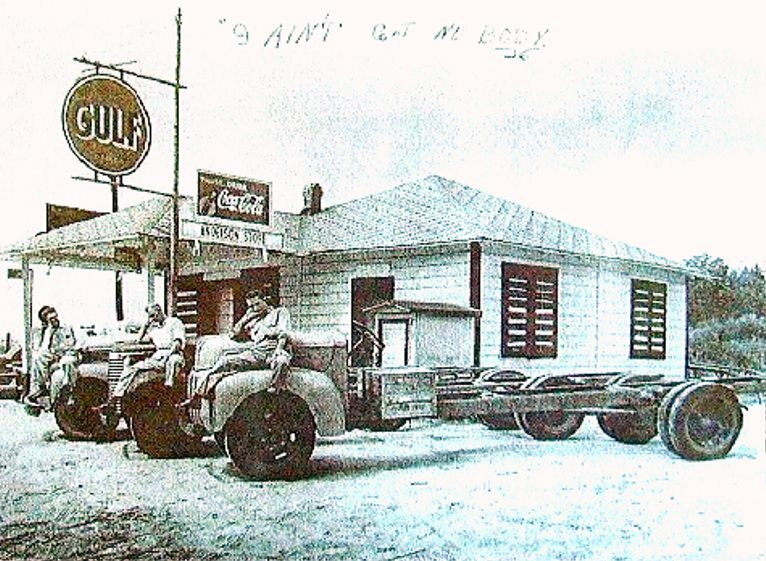 In addition to the motel and the coffee shop at the crossroads, Mr. and Mrs. Tommie Green’s Country Store and Mr. and Mrs. Will Wooten’s store were located there. The Greyhound and/or Trailways bus would drop off bundles of the Sunday Edition of the Atlanta newspapers with Mrs. Wooten. People in the community would go there on Sunday mornings to purchase the papers. The Reviere family donated the land for the construction of the Workmore High School to serve the families in a large rural area of Telfair County. Plans for the school came together in 1920 and the school opened in 1922. This was a big deal—providing educational opportunity in rural Telfair County. 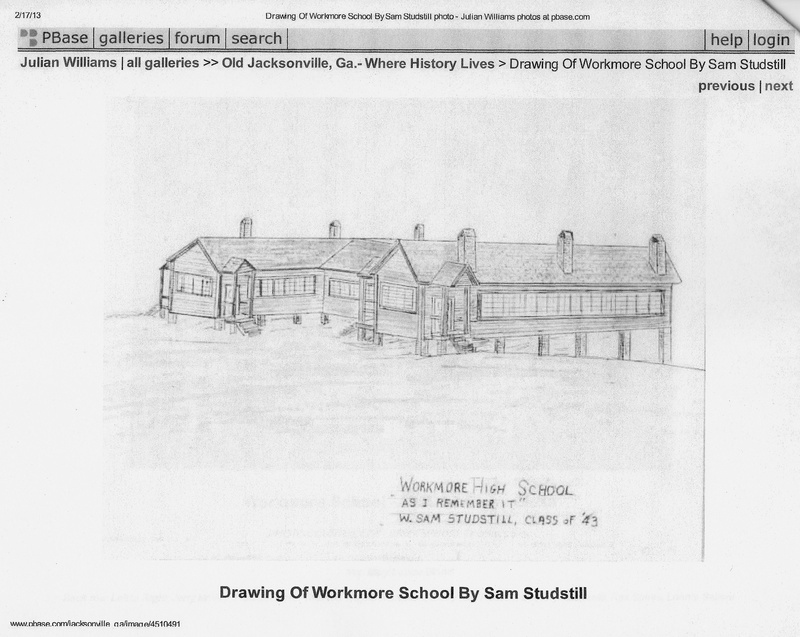 Below is a sketch by Sam Studstill of the original Workmore School. There were two wings connected by an auditorium in the middle. One wing contained classrooms for grades 4-7. The other wing housed grades 8-12, the library, and the principal’s office. A separate three-room school house was moved to the property to house grades 1-3. This building had been the old Liberty School. The drawing above shows a raised area where the bathrooms and water fountains were added later under the building. The water fountains were common water faucets turned upside down. Not much is remembered about how students in grades 1-3 got drinking water and bathroom access, but Billie Sue Smith remembers a water bucket with a common-use dipper in the 2nd grade classroom. No one seems to recall the bathroom arrangements, but surely they were present. Either in the late 1940s or early 1950s, a small lunchroom was constructed. It is the only building remaining on the site today other than the vacant, more modern elementary school building constructed after the high school closed. Conversations with local residents reveal that the lunchroom resulted from efforts of families in the area. It was also made available for birthday parties, wedding and baby showers and the like. There was a white, wooden frame house on the property where the principal lived. It had a series of rooms along a long porch on the back of the house. These rooms were used originally for overnight accommodations for teachers. Teachers would also board with families living near the school. My Aunts Sue Smith and Dovie Garrison boarded with families near other schools in the county at times during their early teaching careers. Workmore School and its auditorium hosted various events open to the community. Regular school assemblies were held in this auditorium, and the students were sometimes treated to special events. A story is told about a magician traveling through and stopping at the school to offer a performance. Schooling was halted and students were marched to the auditorium for the performance. Over the years, piano recitals, gospel sings, Halloween Carnivals and other activities to raise money for senior trips were held. Many fond memories are still vivid of the kissing booth where two senior girls bestowed the ultimate thrill upon two very young men. The names of the two high school ladies are still remembered but will forever be held in private. Mack Cartwright and I were together at this event. The price was 50 cents per kiss. Between the two of us, we had that much money. All of it was spent for two kisses. We got a bargain. Can you imagine a kissing booth in a school today? Billie Sue Smith remembers marching across the auditorium stage as a group to receive our immunization shots. I have no memory of this, but at least we were not subjected to delousing baths. There were two outside clay surface basketball courts. Workmore had varsity basketball teams. Fond memories are still vivid as we played games against other teams in the area as are the memories of the school bus carrying teams to some away-games where they had an actual gymnasium. A second court near the lunchroom was not the primary basketball court. It was converted by some of the students into a place where one could shoot marbles. Sometimes students played for keeps. I remember one day, while I was not a very good marble shooter, I won a marble from a very good marble-shooting girl. Not taking to losing one of her marbles, she proceeded to pound me on the head with her fists of steel. It was a traumatic experience never forgotten. Below is a picture of the 1956-1957 class. This was my class. Thanks to Julian Williams for allowing this photo to be shown. Workmore School had good teachers. No student was deprived of a quality education. Some teachers had skills beyond just being educators. One day, Mrs. Brooks, second grade teacher, visited my first grade class to listen to us read aloud. I had developed a speech impediment around that time and was prone to stuttering. Mrs. Brooks grabbed me about both shoulders, shook me violently, and told me to stop shuttering. I was cured! The next year, Mrs. Brooks performed surgery on my backside. A splinter had lodged in that area from a slide down a wooden see-saw board. She had me drop my trousers and lie across her knees and she began to dig it out. She probably made a quick repair to the tear in the seat of my pants too. Classmates hovered around the door to see what was going on. A special recognition is due Mrs. Vaunita Waldon, my 5th grade teacher. She is credited with imparting to me my love of reading. After all the books on the shelf in our classroom had been read, she brought books from home for me to read. She convinced the high school librarian, Mrs. Tom Ashley, to allow me to check out books from the high school library. Mrs. Ashley was resistant to having elementary students come into her library, but she eventually relented. Workmore High School closed after the 1957-1958 school year. Students from grades 8-12 moved to the newly consolidated Telfair County High School. The new building was not completed at that time so the students began the 1958-1959 school year at the old McRae-Helena High School located at the old South Georgia College location. Some reports said that some students had to attend school in several churches but no memory of that exists for me. I do remember, however, sitting in the auditorium and voting for the selection of the new mascot, Trojan, and colors for the new school. Later that year, students were moved into the new high school building which is the current middle school. 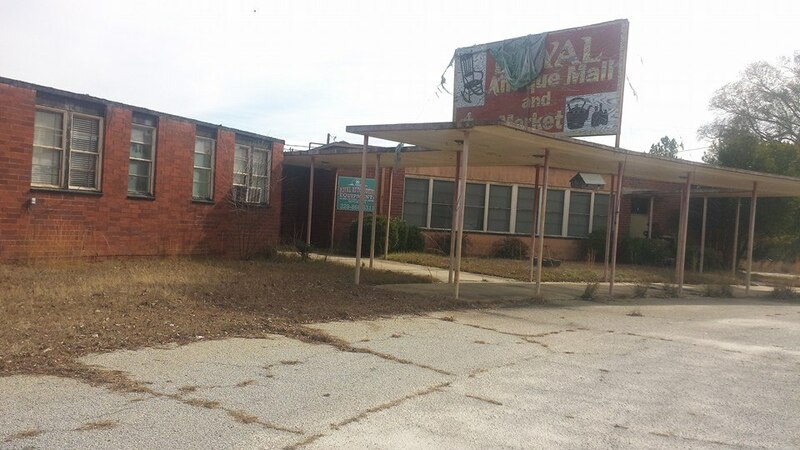 During the planning for the establishment of the new Telfair County High School, the location recommended by the state was the Workmore area, in the center of the county. It was eventually constructed where highways 441 and 280 merged on the south side of McRae. As a result of the school consolidation in McRae, the county school system lost a number of students to Broxton in Coffee County. Some years later with the closure of Milan High School and then Lumber City High School, students were lost to Dodge County and Jeff Davis County. 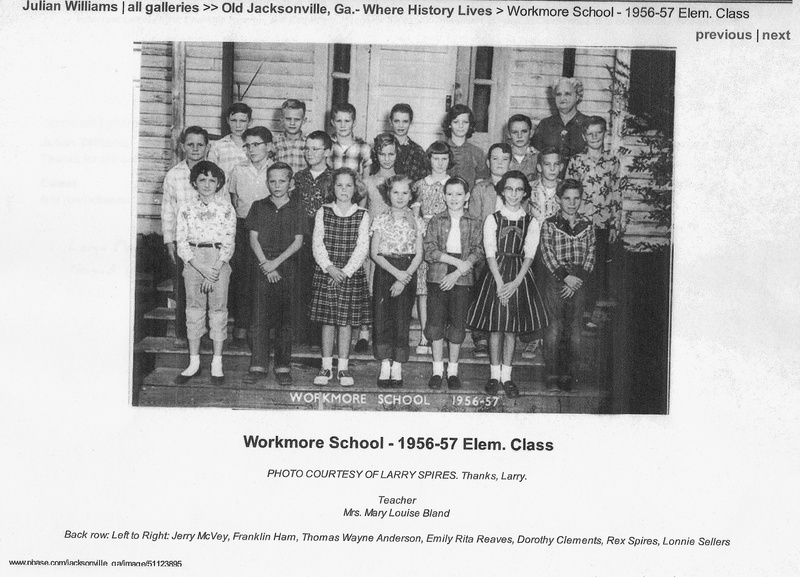 Editor’s Note: In the late 1980s, Workmore School was closed along with schools in Lumber City and Milan. All students were bused to the schools located in McRae. The above photograph shows the Workmore School building as it stands today. The Workmore Community is located very close to the geographic center of Telfair County. At one time, while Jacksonville was the county seat, there was discussion of moving the county seat to the Workmore area and naming the town Ridgely, Georgia. This would have placed the county seat at the center of the county. The Civil War came along as did the railroads which put a halt to such consideration. McRae became the county seat in 1871 and was incorporated in 1874. McRae is on the northern edge of the county since Telfair lost land to Montgomery County, the new boundary between Telfair and Montgomery becoming the Little Ocmulgee River. Wheeler County was not formed until 1912. Some county-wide activities were established near Workmore over the years. The most recent was the location of the Telfair Forestry Unit on Highway 441, approximately one mile from Workmore. It is a central location from which to provide wildfire suppression in the county’s forest lands. As an aside, 89 percent of Telfair County is forest land. Another activity established near Workmore was the County Prison Camp Chain Gang, as it was known at the time. Over the years inmates performed the bulk of the road maintenance in the county including operating motor graders and other equipment. The old prison has long since been abolished. Today, the county’s public works department continues to operate on the site of the old prison. A look at a map of Telfair County will show the population centers to be along the county lines. This has presented challenges impacting our local economy through posing a simple problem as to where do Telfair residents shop. Lumber City is closer to Hazlehurst than to McRae. Jacksonville residents find travel to Douglas and Fitzgerald convenient. From Milan, Eastman is an easy reach. People in and around McRae-Helena and Scotland frequent Eastman, Dublin and Vidalia. The convenience of larger shopping districts continues to have a negative effect on the vitality of Telfair County’s cities and business districts. The same reasoning can be extended to Telfair’s difficulty in retaining and supporting a community hospital. It would be good for us not to focus on circumstances we cannot change. We should recognize our challenges and work to overcome them. We have much going for us in Telfair. County. The Pioneer Historical Society is a 501 (c)(3) organization whose mission is to sustain the interest of the county's citizens in the preservation of the county's history and to encourage interest in the arts. The Telfair Museum of History and the Telfair Center for the Arts are also integral parts of The Society. The Pioneer Historical Society meets the first Wednesday of each month at 11:30 am at the Fairway Restaurant at the Little Ocmulgee State Park. After a dutch meal, a short program of area interest is presented after which a short business meeting is held. Everyone interested in the history of Telfair County and the surrounding area is urged to join. Memberships are $10 per year for individuals. Family and business memberships are available. For more information contact Robert E. Herndon, President, at 229-868-2520 or by email at rherndon2002@yahoo.com . You are encouraged to visit our website at www.phshistory.org .